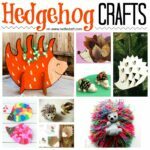 Hedgehog Pom Pom Craft - easy and fun! Well.. 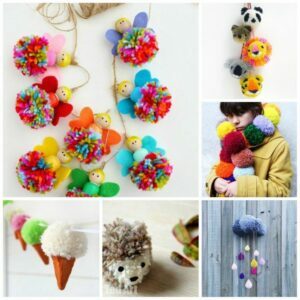 I do apologise in advance, you may be seeing a number of pom pom crafts coming from Red Ted Art HQ… after I bought the biggest stash of wool EVER, the kids and I can’t get enough of creating and inventing new pom poms! How sick we were of the bright red and green wool we had (great colours, by all means, but not when ALL your finger knitting and pom pom making ends up in those colours!). Today, we made some Hedgehog Pom Poms. It took a bit of trial and error.. our first one, ended up as a cat toy… hehehe. 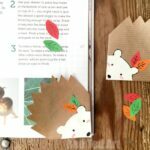 Also, we made our hedgehog pom poms using a pom pom maker (US/ UK (aff links)), however, you can apply the same “step by step” guide to the traditional “circular cardboard method“. 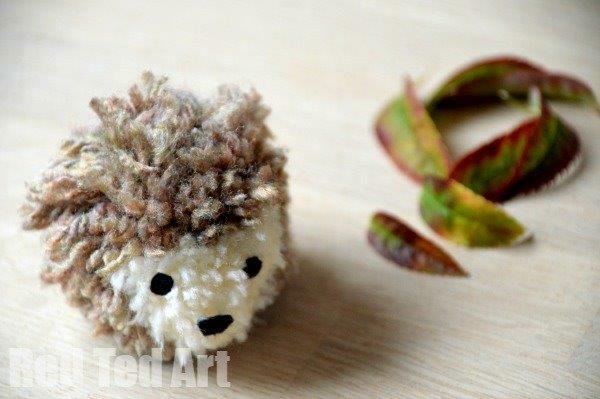 So enough waffle.. on to our pom pom hedgehogs! 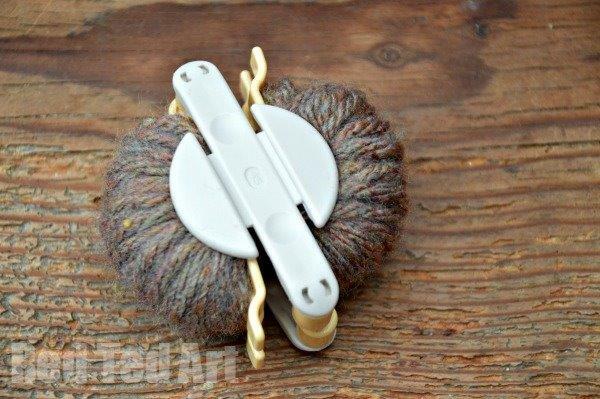 1) Wind half of your pom pom in brown. 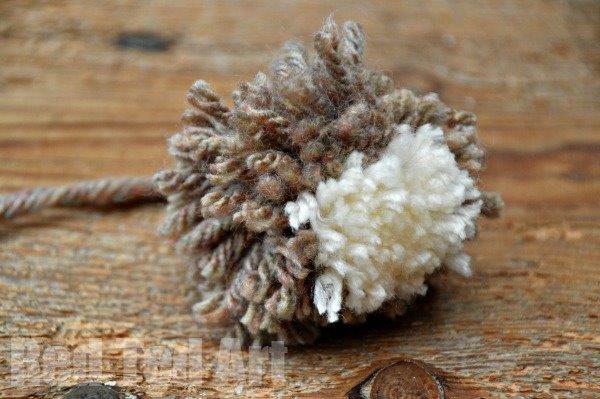 Then, do 1/6 in the cream wool – I made this cream bit quite thick. Fill the rest in with brown. 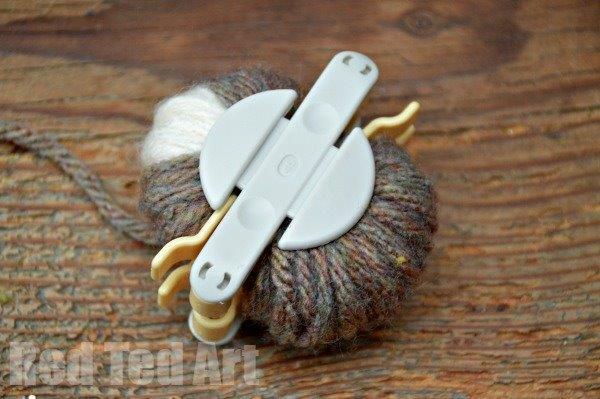 2) Then add another layer of brown over the top of your cream wool. 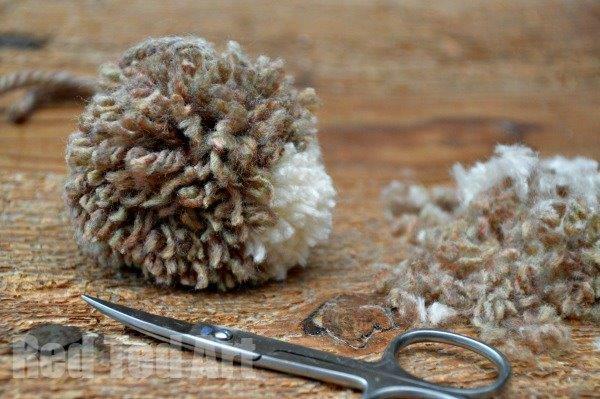 3) Cut your pom pom and tie. 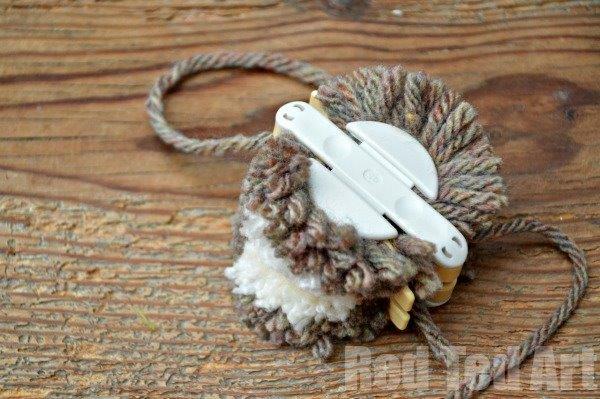 If you want to keep your “tie” for hanging the hedgehog up (say from a key ring or to use it as a zipper pull), make sure you tie the not to the side of the “cream” section – so that later it points in the right direction. 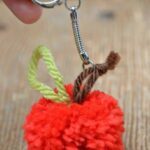 4) You will get a fluffy pom pom whit a cream section. Doesn’t look very hedgehog like YET, does it?! 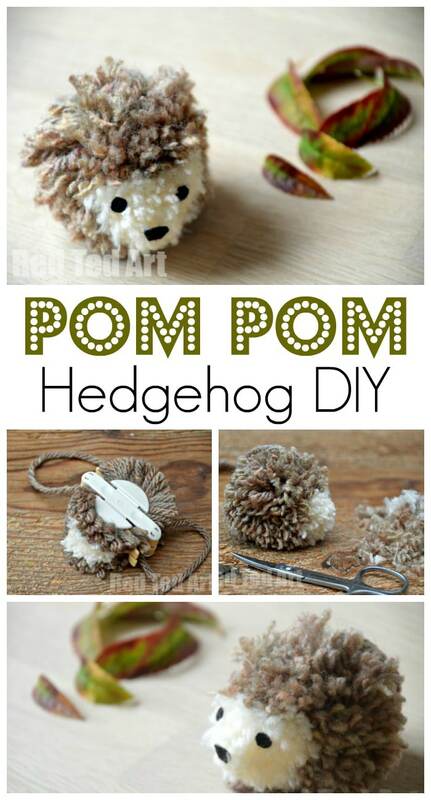 Don’t worry.. onto the next step to creating your hedgehog pom pom. 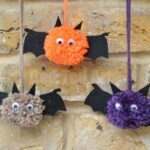 6) Cut two tiny black dots fro your felt as eyes, and a little “nose shaped” (triangle, with rounded edges) piece for the nose and glue on with good white glue. Do any final trimming if needed and DONE! 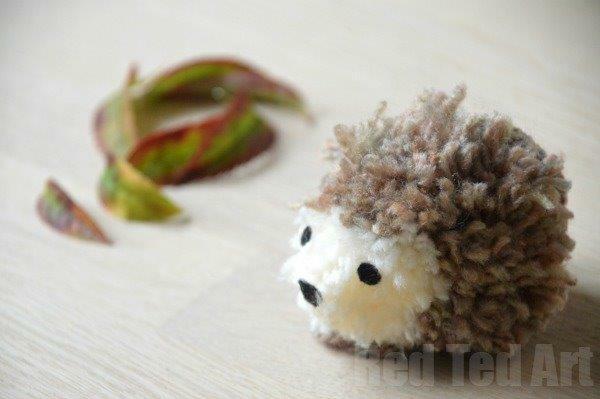 We think this little hedgehog pom pom is just soooooooooo cute! 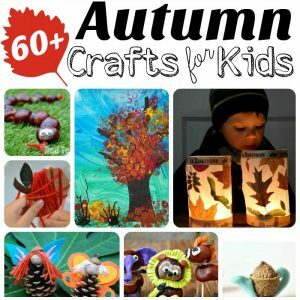 Do subscribe to her channel – For Kids BY Kids. 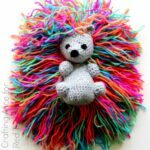 Have fun with your adorable Pom Pom Hedgehog! It’d be nice if you link to the original inspiration for these, they’re so cute! I believe I saw them on Molly Moo awhile back. I always link to original source were credit is due, looks like a coincidence! Aha, I see now what the comment above is about! Clearly, great minds think alike! 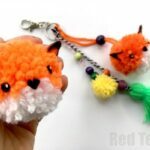 Brilliant what is that you are using to make the Pom Pom.. And where can I buy one from.. Please.. Thank you :). I saw molly moo after reading the comments. Your hedgehog is far more cuter. 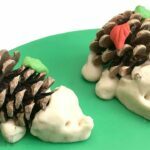 I am surely making this for my son.I had recently bought a cute hedgehog for my son(a wriggly rubber one) and he would love to have 1 more. Thanks a lot.